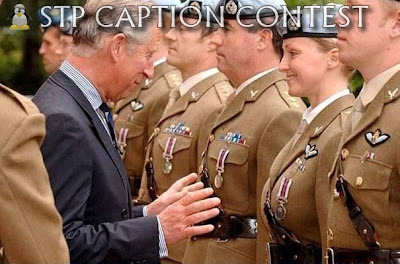 Ok, got a caption in mind? Great... now go to the comments section and share it with the world. Ahh yes, the August contest. Congratulations to IYAAYAS Moderator who came up with the best caption for the picture above, and won a $5 amazon gift card. If you want to see all the other entries then click here. "My name is Charlie and these are my angels"